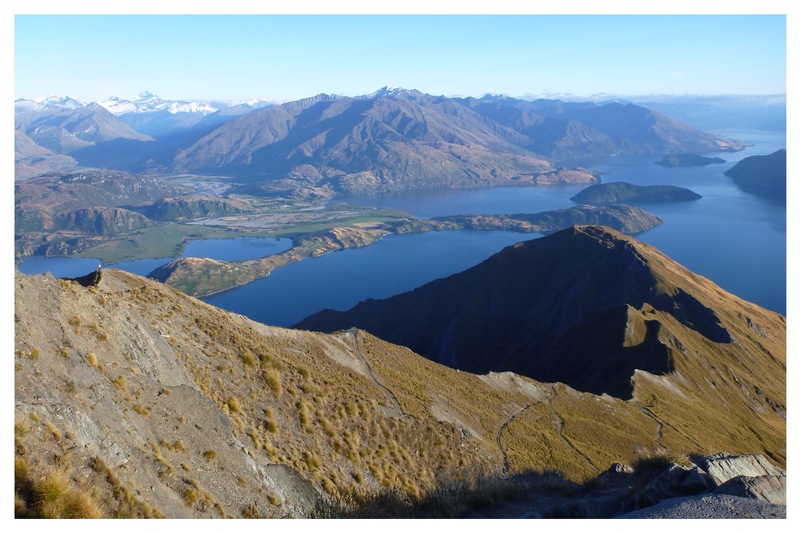 Roy Peak is short half-day hike just outside the small town of Wanaka on New Zealand’s South Island. Best enjoyed at sun up or sun down, this exposed trail of switchbacks offers killer views in all directions. We opted for the sunrise version, beginning our hike in the early morning darkness. I believe the photos speak for themselves. The view of Wanaka and the Aspiring Mountain Range is breathtaking and one of the best in the country (in my humble opinion). With many stops to to take photos along the way, the climb took us almost two hours. By now we shouldn’t really be surprised by the crowdedness of tourist activities in NZ–or by useless “facts” such as Roy Peak being the most “Instagramed” in New Zealand (congratulations to Instagram on becoming a brand turned verb just like Google)–but once again, we were amazed by the number of people clambering up as we were skipping down. At 9 o’clock the sun was already beating down with brutal force. Seriously, people. Roy Peak. Sunrise. Do it.